In the world of wearables it is really a battle between the Apple Watch and the various Android smartwatches like the Moto 360. But Microsoft would like you to remember that it also has something to offer. The original Microsoft Band may not have generated a great deal of interest, but the company is not ready to give up. Leaked images show that Band 2 is shaping up to be better looking than the first generation. Spanish website Microsoft Insider has published renders of the upcoming wearable which currently bears the codename Envoy. 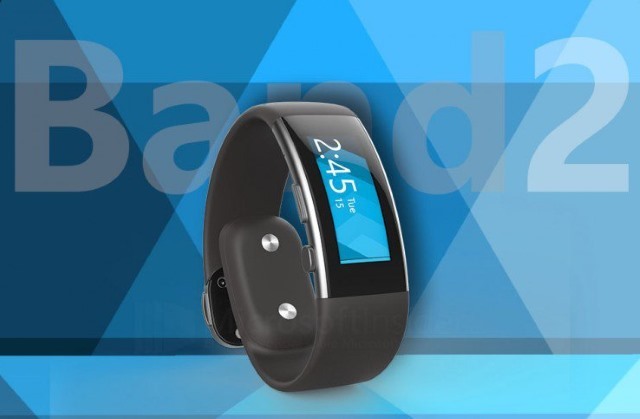 From the Microsoft Insider renders, it appears that the second generation of Band has a curved screen, addressing one of the complaints with the original model. Band 2 also appears to have higher quality look, with chrome touches giving the device a more attractive exterior. There are also physical buttons visible that should take some of the navigation options away from the screen. It is expected that we'll find out more about Band 2 at the next Microsoft event on 6 October, but Microsoft Insiders hints that the new version includes at least one new sensor. There is the suggestion that Band 2 will be able to determine height, implying that there will be an altimeter built in.